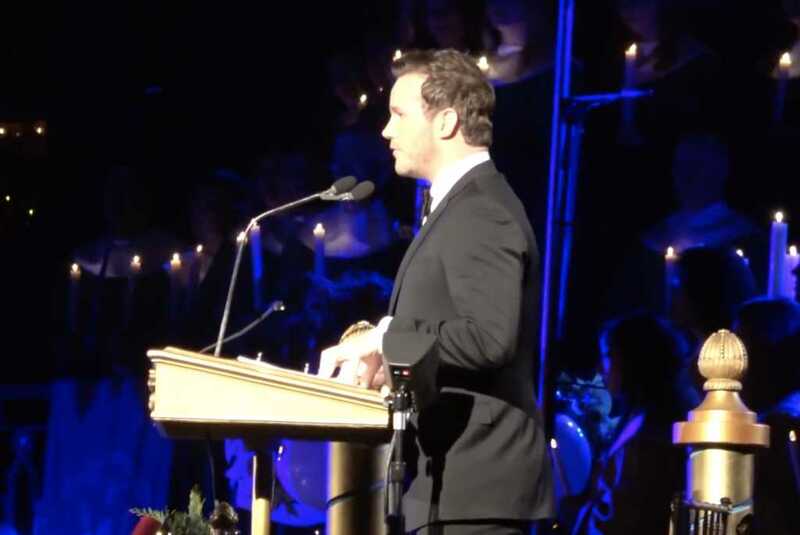 Actor Chris Pratt spoke Sunday, during Disneyland’s Candlelight Ceremony in Anaheim, where he read the Christmas story from the Gospel of Luke. Despite a culture that has turned its proverbial back on the bonafide meaning of Christmas — the birth of Jesus — Disneyland has maintained its deeply religious, annual ceremony, a celebration that began in 1955 when the park opened. Last year’s Christmas story was narrated by “Thor” star Chris Hemsworth. This year, the “Guardians of the Galaxy” actor shared the Scripture. Pratt went on to relate God’s love for us to his own love for his son, who was in the audience. The well-known actor has been very outspoken about his Christian faith.